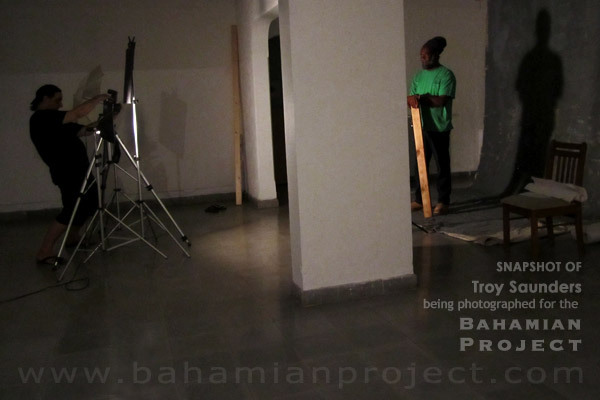 Troy Saunders, a local contractor, was photographed for the Bahamian Project. The photo above shows the photographer and subject at the start of the shoot while the lighting is being set up. 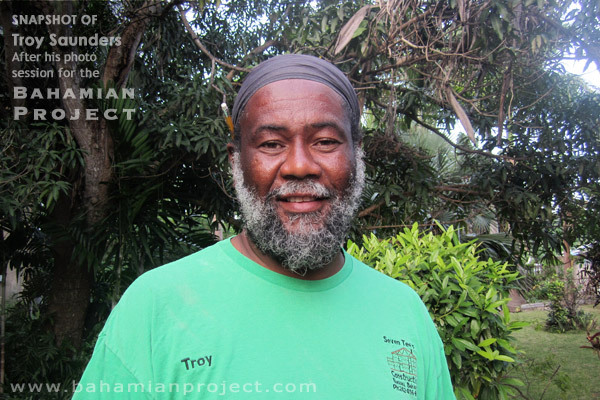 Below is a documentary snapshot of Troy Saunders after his photo shoot in the garden at Popopstudios, where the Bahamian Project studio is located.